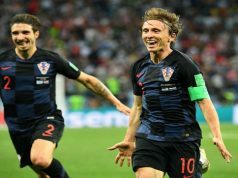 Luka Modric, the master-playmaker whose skills saw him take Croatia to the semi-final of the World Cup, is the latest Real Madrid player to attract speculation about a possible move away from Los Blancos. The 33-year-old has two left to run on his current contract with Real, but according to one source, the president of the club, Florentino Perez, is said to be trying to avoid a face-to-face meeting with the Croatian. The reason for Perez’s reticence for such a meeting is being put down to speculation that Modric wants to emulate Cristiano Ronaldo with a move to Italy and Serie A – namely to Inter Milan. As far as the Inter Milan manager Luciano Spalletti is concerned, in a recent interview with Goal, he said that he was not hopeful of a deal being agreed this summer that would see the midfielder playing football at the San Siro stadium. 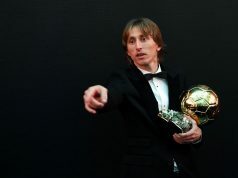 He is of the opinion that Modric will stay with Los Blancos until the end of the new season. If Inter Milan do however harbour hopes of signing Modric, they don’t have much time left. The transfer window for Italy’s Serie A closes this Friday the 17th August, ahead of La Liga’s close which doesn’t happen until the 31st of August. In the meantime, if Perez continues to put off meeting with Modric he only has to continue his prevarications until the end of the week. Whilst there may be an element of truth in the rumour that Modric wants to leave, it is also thought in some schools that as Croatian’s contract is nearing its end, albeit in two years’ time, the talented midfielder could simply be looking to negotiate a more lucrative deal in the autumn of his career. It’s not at all unusual for players’ agents to mix things up ahead of forthcoming season as they look to secure the best deals for the players represent and of course, line their own pockets in the process too. In this particular instance, they will be all too well aware of the possible pressure that Real could be under following Ronaldo’s exit and the surprise resignation of Zinedine Zidane. There has also been talk of Sergio Ramos wanting to make a move too, so Modric’s agent could be just trying his luck. 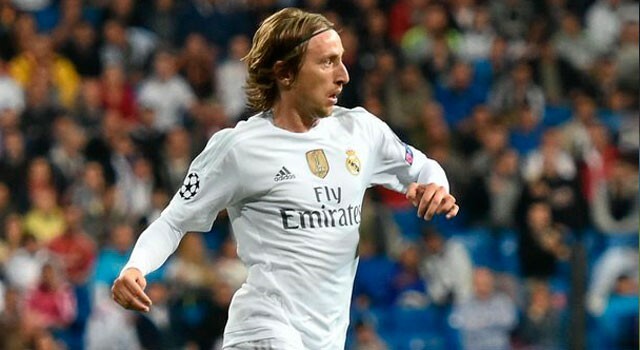 Although no youngster, the 33-year-old Modric still has a great deal to offer. He would play a key role in Real Madrid’s campaign to secure a third, consecutive UEFA Champions League title. In the meantime, Modric has returned to training after his exertions in the World Cup. He didn’t figure in Real’s last pre-season game against AC Milan, (the Santiago Bernabéu Trophy) which Los Blancos won by three goals to one. He is however expected to start in the upcoming UEFA Super Cup final, where they face Atletico, in Talin, Estonia on Wednesday the 15th of August. Next articleCan Real Madrid Land Sensational Swoop for Premier League Star?